Stranger Things is a new Netflix Original series that I plowed through this week (G-d I love summer vacation!) and there's so much I love about it. Obviously, I'm the target audience. I'm 45, which means I remember the early 1980s setting very well, having spent puberty there myself. I was a huge Stephen King fan during the same time period, and felt at home as soon as I saw the fonts in the title sequence. I'm still a fan of weird tales and all things supernatural in fiction. The adults: Joyce Byers (played by Winona Ryder) and Jim Hopper (played by David Harbour). They both come to believe in the supernatural explanation pretty easily, but they are both adults easily dismissed by others. Joyce has a history of "anxiety issues" and public hysteria surrounding an ugly marital history. You can see that her position in the town wasn't one of dignity and respect even before she started trying to talk about what was happening in her life. Hop has a history of grief and alcoholism and any strange behavior on his part has people wondering if he fell off the wagon. They're perfect in their unreliability. The "no one will believe us so we're on our own" vibe the story needs. 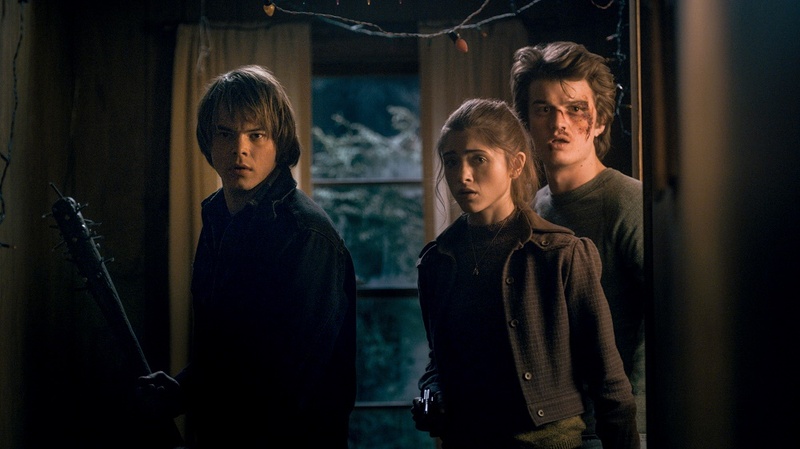 The Teenagers: A classic misunderstood loner, nice girl, and popular bro trio. But all of them are deeper and more nuanced than you would have seen in an 80s show. I was pleasantly surprised by the character arc of the "bro" in particular. They come to believe in the big bad a little more slowly, drawn into it by younger siblings (for two of them) and the disappearance of another teenager. Our loner boy, Johnathan Byers (played by Charlie Heaton) wants to protect his mother and step up into a father-protector role that he's not quite ready for. 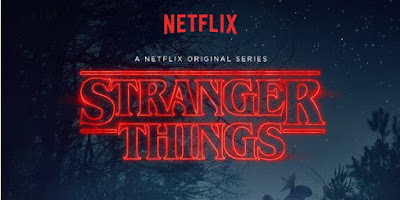 Nancy Wheeler (played by Natalia Dyer) is dismayed when ordinary teen drama about jealousy and who's cheating on who complicates her monster hunting. 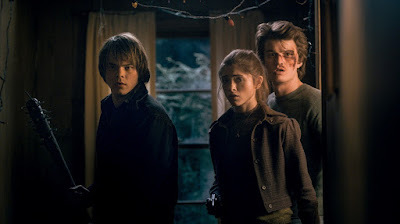 Steve Harrington (played by Joe Keery) transitions from a boy-who-only-wants-one-thing into someone who admits his wrongs and makes amends, someone who can be a real ally. They add the "we can't just sit here and do nothing" recklessness element. 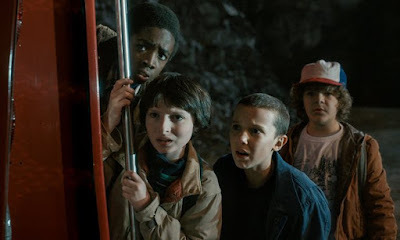 The children: Mike Wheeler (played by Finn Wolfhard), Dustin Henderson (played by Gaten Matarazzo), and Lucas Sinclair (played by Caleb McLaughlin) are a group of middle school D&D players, along with their friend Will Byers (played by Noah Schnapp). They are smart, independent, and capable kids, but also imaginative and knowledge (through D&D) about monsters. 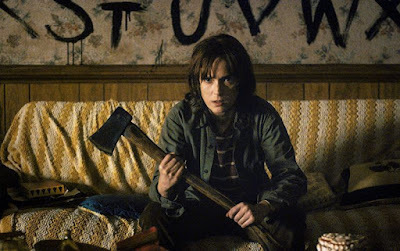 When Eleven "El" (played by Millie Bobby Brown) comes into their lives, they are the quickest to realize that there's more to her and to the central mystery of the story than it appears on the surface. In classic kid mode, they (like the adults) are sure no one will believe them, so they take matters into their own hands. The scenes where the kids are frantically riding all over town on their bikes following leads and sleuthing are straight out of things like ET and the Goonies in their nostalgia and tension. It's only eight episodes, so you don't need too much time to see the whole season, and it ends in a beautiful place, with plenty of possibility for future story, but feeling finished enough that you won't feel frustrated or cliff-hangered. So, if you're looking for a good, tense, spooky summer show, I recommend this one! Me with Angela Pritchett at the Southern Voices Book Launch Party. Picture by Leona Wisoker of The Scribbling Lion. 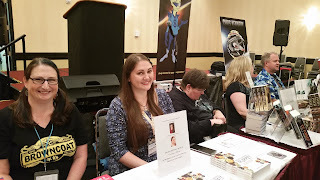 So, I just got back from Con-Gregate, a small sci-fi/fantasy convention in High Point, North Carolina, where I was a guest author (You can read about what I was doing there here and about the con itself here). I knew I was going to have fun, and my expectations were exceeded. There's nothing like spending time with people who love the same things you are passionate about. And--hey, bonus! I sold some books, too. I was thinking about what makes time at a con so great. After all, there's a lot about a con experience that is hard on me. 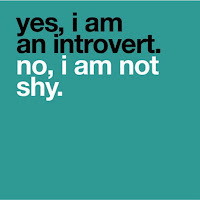 There's seldom enough quiet recharge time for an introvert like me. Or at least you have to choose whether you'll take the time for personal recharge or the opportunity to connect with like-minded folk (never an easy choice). It costs money and I'm a schoolteacher in North Carolina, so I don't really have any of that. (As a guest author, usually my con fees are waived, but I will still need to get myself there, pay for a place to sleep and buy food and drinks). If I'm to attend, then I have to rely on others (my husband and sister, usually) to take over the things I would normally have been doing--giving my kids rides, walking the dog, feeding people, etc. When you're a "giver" sort of person, it can be hard to be the one receiving help. I have to fight the guilt over being a little selfish and taking this time for me and my writing career. But, still, even with all the cons of cons (ha! I amuse me) I *love* going to cons. I was sitting in a session given by AJ Hartley, a Special Writer Guest of the con, called "What Can Genre Authors Learn from Shakespeare?" when I realized what it is. It's the level of discourse. In my ordinary day to day life, I teach middle school. Some of my colleagues and students are brilliant shining minds that dazzle and challenge me, but a lot of them aren't. Not all of them are there because they want to be or because they love what we've come together to do. In fact, how few of them want to be there is a little depressing when you consider that I got into teaching, in part, to share my passion for learning and books. But, as I sat in that session, I realized with a kind of rush that I was in a room of 30 some odd people (and some of us are really odd people) who love both speculative fiction AND Shakespeare. People with passionate opinions about things like whether the ghosts are really there in Macbeth and Hamlet or are just in the minds of the haunted. Over the course of my weekend, I was part of conversations about moral boundaries in superhero stories, what white straight people writing more diverse characters need to consider, what constitutes cultural appropriation, why representation matters, what tropes serve stories well and which ones are offensive, advantages and disadvantages of different paths to publishing, why gender and race are more than check-box categories, and the difference between true (nonfiction) and heart-true. My TBR list which is already longer than the time I will probably be on this earth grew by leaps and bounds, as did my list of shows to watch, music to explore, clothing to buy, places to go, and stories to write. It reminds me of the best moments of college. It's worth the introvert coma I'll probably be in all this week just to talk this deeply for a few days. It really is. Thanks for letting me invade the blog, Samantha! Today I’m talking about how we chase our dreams. 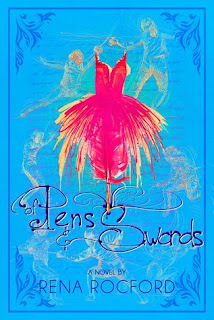 In my newest book, Of Pens and Swords, the Main Character, Cyra pursues her dreams with a dogged stubbornness. She’s determined to make the Olympics, and she sacrifices everything on the way, even her own heart. This, of course, leads to trouble, and if you want to, you can read more about it in the book. We’re here to talk about how you can chase your dreams without running yourself and your friends into the ground. Have a goal. Congratulations, you have a dream! No, I’m not being mean here. There are thousands—millions—of people in the world who don’t have a dream. They don’t have this thing you’ve found that burns in your mind. Now do yourself and everyone around you a favor: WRITE IT DOWN. Sometimes, we get lost along the way, so it’s important to write your dream down. This way if it changes, you’ll know. You’ll be able to point at it and say “this is my dream.” Excellent: Target Acquired. No I in Team. I know, this is so cliché it almost hurts, but the truth of the matter is that you’re gonna need support. If you have a significant other, explain to them what your dream means to you. You’re going to need to prioritize your life and you’ll never get anywhere with your dream if it isn’t on your list. If you don’t have a significant other, enlist your friends and family. Most of them will be happy to help however they can. Don’t assume they’re just “being nice.” Many people would love to help you with your dream (hint: this is why it’s useful to have it well defined, so you can explain it to others when recruiting them to your dream). 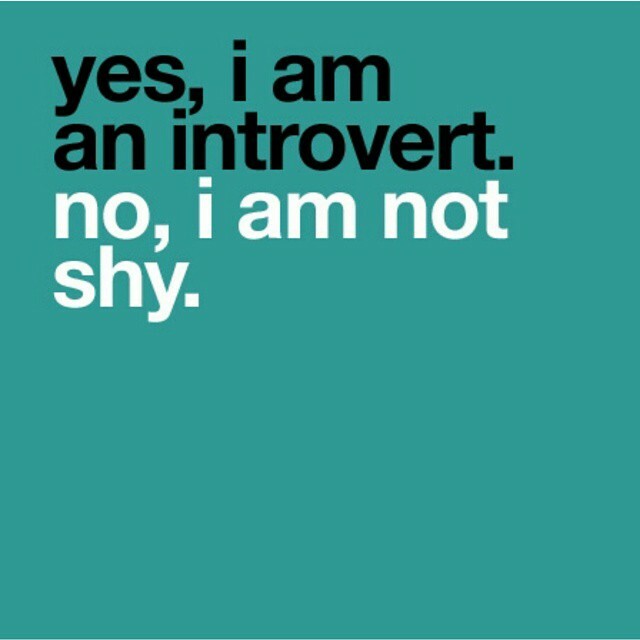 Sometimes, There’s No I In Team Because I Is Off Quietly Working Hard While Team Is Busy Having A Party. You want to achieve your dream? Then you’re gonna have to do a ton of work, and no one is going to make sure you put your nose to the grind stone. You’re going to have to be the one duking it out with that voice in your head that says things will be fine after a donut and a Netflix binge session. There is a component of sacrifice to your dreams, no doubt about it. Victories Are Planned. This is important because you’ll need to know something about your dream if you want to make it work. Planning out how to get your dream can sometimes fill in the gaps between “I’d like to be a writer” to having actual books in your hands with your name on it. No Plan Survives Contact With the Enemy. I’m glad you have a plan, now, remember that you have to be ready to discard it at a moment’s notice, bend it for the crazy things that crop up in life (deaths, births, accidents, etc.). This doesn’t mean you aren’t going to stick to the plan, but it does mean that you might need to revise the plan at the drop of a hat. Semper Gumbi. Change is Constant. Or give yourself room to change your dream. If you outgrow your dream, that’s okay. You can quit. So you had a dream to write a novel, and you’re five years in and you haven’t written chapter 1 yet. Don’t sweat it. Find a new dream and move on. This one doesn’t seem to be for you, and that’s okay. You can also take a break and come back. Rome Wasn’t Built In A Day. Sadly your dreams will not come true quickly. There will be delays and setbacks. There will be bumps in the road and your process. Give yourself time. Forgive yourself for the crazy feeling that you have to hurry up. This isn’t a race, and there’s no ribbon at the end—unless you were dreaming about winning races, in which case, get a move on it buddy. If this seems like something you’ve seen before, it’s because you have. There’s a ton of luck in success. A ton. But the people who find that magical cross section of talent, effort, and luck all put in the effort. The other two factors are completely out of your control. Good luck out there! Seventeen-year-old Cyra Berque wants two things in life: a date with Rochan and a chance to fence at the Olympics. But people with one hand don’t normally fence, and girls with big thighs don’t get the boy. Knowing that she wants to make the Olympics, Cyra’s coach sets her up with another coach, one who could take her all the way to the top, but the new coach costs more. Feeling her dreams slipping out of reach, Cyra agrees to tutor a ballerina with a rich father and a D minus in English. It’s triple the pay and triple the pain. The ballerina isn’t interested in passing classes―she wants Rochan, and she’s promised she’ll turn her D minus into a full-fledged F if Cyra doesn’t help her win the heart of Rochan. 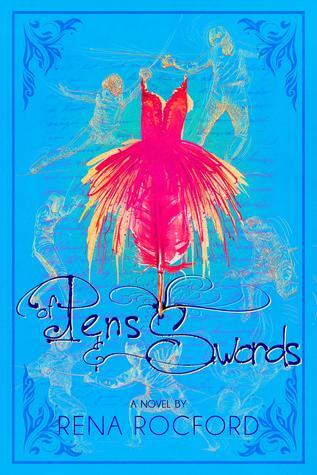 When Rena Rocford isn’t taking over the world one book at a time, she can be found living out her mild-mannered life, wearing out dance shoes, raising a herd of pets, and enjoying her time with her family in beautiful Northern California. Writing is a solitary endeavor in a lot of ways. Maybe that's why writers reach out to each other so much: for moral support, technical advice, sympathy and empathy, promotional escapades, etc. With the growth of online communities, there are more and more opportunities to find your tribe: like-minded folk pursuing similar aims. There's also a lot of just plain annoying social media noise out there. First, of course, is IWSG! 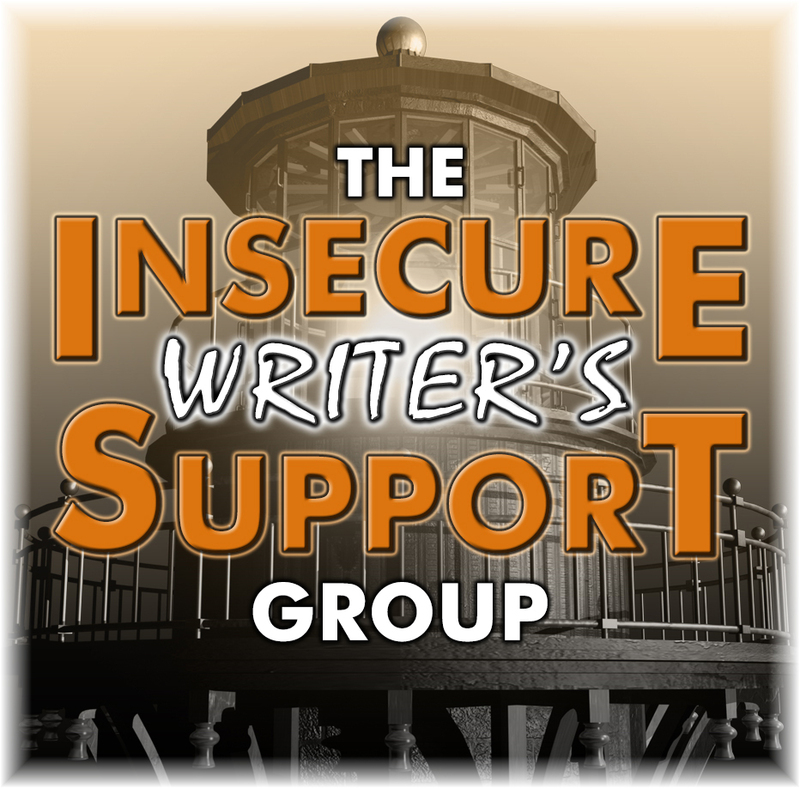 The Insecure Writer's Support Group is a good example of a low risk, get what you need out of it group. It's all online and free, so geography, schedules, budget and time zones don't have to get in your way. There's a variety of ways to participate. You can, for example, just lurk, reading about other writer's successes, failures, worries, and angst and learning from those stories quietly. Or you can write about your own worries once a month, knowing that other people are going to read, consider and comment. 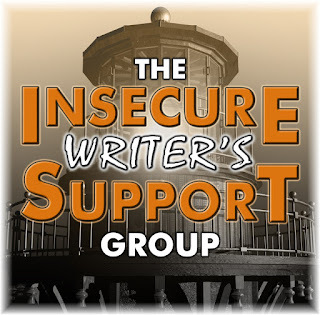 (The reciprocity expectation of IWSG is, in my opinion, key to its success). You can explore the resources on the site and find contests, potential publishers, and how to advice. You can go to the Facebook group for interaction and support on other days of the month. You can participate in larger ways by hosting or getting involved in publications the group puts together. It's very much a find-your-own-depth swimming hole. But while IWSG is invaluable and wonderful, there are other kinds of groups, I've also found really helpful. What's the depth of critique offered? Is it a group that offers primarily only encouragement? Or is it a group that helps identify flaws and problem-solves with you? What's the level of commitment? Is it very casual where members flit in and out? Or is it more established, where writers work together over a long stretch of time? How often do they meet? How often will you get a turn? How much reading of other people's stuff will you need to do? What's the group personality like? Not everyone has a thick skin. Is criticism offered with a heart to help or a heart to hurt? Is someone in the group a bully? Are members so oversensitive that nothing ever gets said? Then, there are accountability groups. Since I'm a novelist, I'm all about the word count. I know that doesn't work as a method for everyone, but, for me, building a chain of writing days was a complete game changer. I'm in three kinds of accountability groups right now and I get different things from each. Magic Spreadsheet is a spreadsheet that awards you points based on how many words you write and how many days in a row you write (maintaining your chain). The gamification model really works for me. Tracking my efforts lets me see how much I'm doing even when I don't feel like I'm moving forward. I've now written for more than 1,000 days in a row! (MS also has a very supportive group of folks using it that keep in touch through a Facebook group). Daily check in sorts of groups can be really helpful, too, in that moral support sort of way. Mine is a group of writers that I already knew from other settings that then formed a digital community for personal check ins. We talk a lot about our obstacles and how to get around them. Goal setting groups. My favorite of these is Jamie Raintree's The Motivated Writer. I like the setting of shorter-term goals, like what I will do THIS week, and the checking back in at the end of the week to cheerlead each other or boost each back up when we fall. Now, Cross Promotional groups. Hmmm. Cross promotional groups are what got me thinking about this post today. I've recently been invited to kind of a lot of them. While they seem like a good idea on the surface, they can be tricky. There's a lot of link dropping without relationship building. There's a lot of failure to reciprocate. Or worse yet, an expectation to reciprocate when you don't feel good about the work of the other members or when it doesn't have much crossover with the readership for your own work. The whole thing feels kind of…seedy. Too often it seems to turn a bunch of individual writers who are clumsy at social media promotion and relationships into a noisier group of clumsy promoters that everyone starts muting. I've pretty much given up on groups for this, feeling much better about a little cross promotion only with other writers I have long relationships with and whose work I personally admire. Lastly, there are professional organizations. 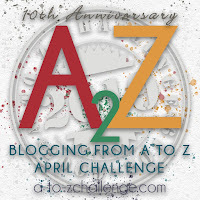 These often come with dues to pay and commitments to honor, but they will connect you with other writers in your field who are the same kind of serious about it as you are. They will open opportunities for you. They will likely offer training of a sort, either through casual mentoring or even through full-blown courses of study. Unlike more casual organizations, they are all about learning to do this as professionals, rather than hobbyists. I'm in two of these. Broad Universe which is an organization for women writing speculative fiction and Women's Fiction Writers Association which is for women writing work which classifies as women's fiction. WFWA offers classes on a regular basis on writing craft, promotion, social media, etc. They also hold contests. Their Facebook group is active and informative. 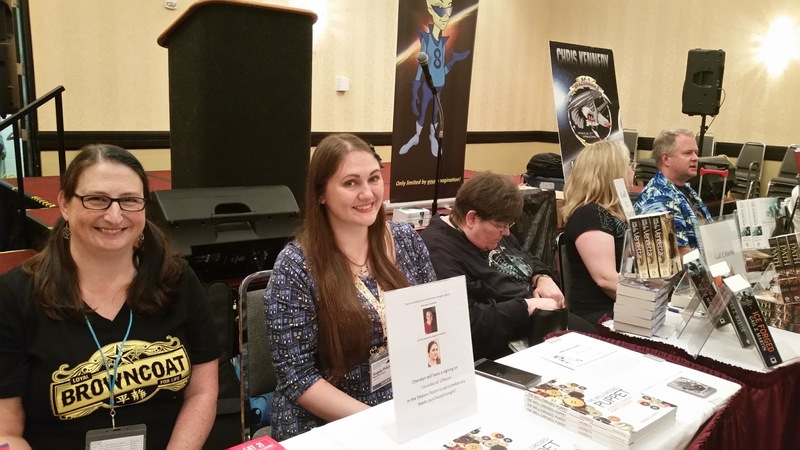 Broad Universe has connected me with other genre writers for sharing of resources at conventions and sharing of publication information and advice. I value my work with both of these groups and highly recommend finding a group of this sort that fits the work you do. So there you go! My two-cents, which turns out to more like twenty-five cents, on networking as a writer. How about you? What kinds of support groups and activities have been good for you? What's turned out to be a waste of time? What's the origin story of ConGregate? How did it come about? 1. StellarCon, the area’s long-running, general SF con went on hiatus. 2. We found that no hotel would offer us a contract that was financially feasible, unless the fans would be willing to pay registration rates somewhere around $250.00 each. The reality was that we could rent enough space for a full SF con for the same amount of money that just a few small ballrooms would cost us, because a full scale con would have a significantly larger hotel room block. What's special about ConGregate? What sets it apart from other small cons? When we got ready to announce the con, one thing we did was poll various fan groups about what they’d like to see more of in conventions. A disproportionally large number of the fans said, “more interactive programming.” It seems they were tired of the traditional panel format for conventions. In year one, we set-up several workshops that were very well attended. At the end of year one, the fans almost unanimously said they liked the programming where they could directly interact with the guests. We decided that, moving forward, our focus would be fan interactive programming. Not just workshops, but more round-table panels and some TV style game shows. Anything, really, where the fans could interact with the guests, as well as other fans. Looking back over past cons, what are some highlight moments? Well, there have only been two cons so far, but Les Johnson, a retired NASA manager, attended the first ConGregate and did a few talks on the future of NASA that were well received. Last year, we host HollyWeird Squares, based on the TV show by a similar name. We cycled about 20 contestants from the audience (fans and guests) through the game. It was a lot of fun and drew quite a crowd. We noticed that cameras were making a comeback recently, and started having photography workshops to educate people on the proper used of their new, and very expensive, equipment. We’ve added a second game show, “Name That Show!” It will be similar the TV’s “Name That Song,” except instead of the contestants getting musical notes from which to name a song, we will provide a basic clue and then names of some of the actors in the show or movie. The fewer names the contestant bids, the more obscure the actor will be. In other words, if you say you can name the show in one actor, don’t expect us to give you the name William Shatter, if the show is Star Trek. We are also expanding our photography workshop, and actually splitting it into multiple workshops. We will have still have a workshop on how to photograph cosplayers, but also one for the cosplayers themselves focusing on how to properly pose to for pictures, as well as offer basic make-up tips for photography. So, we’re covering, not only being behind the camera, but in front of it as well. The members of the 105th will host Iron Maker, a competition between two teams to create a costume in 2 hours, without prior knowledge of the theme, or what materials they will have to work with during the build. And, naturally, we will be introducing a wild card into the builds at about half-way through the competition. 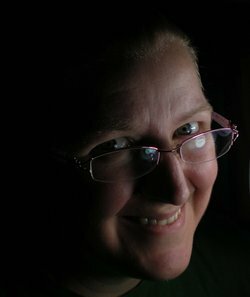 Finally, maybe one of the more unique opportunities for fans, will be a series of two Tia Chi workshops, conducted by our Writer Guest of Honor, Steven Barnes. Per Barnes, this will be a gentle exercise available to folks of all skill levels. Though we do recommend bringing appropriate clothing. What are your dreams for ConGregate in the future? Oh boy, that’s a big question! Well, obviously we want to grow the con, but in a controlled way. We experienced 25% growth from year one to year two, and it’s looking like we might come in at about 15% growth this year. The problem we will face is the con hotel cannot handle too many more years of this level of growth. Sooner or later, probably sooner, we will need to decide whether to stay where we are, and cap attendance, or find a larger venue. Beyond that, we’d like to continue with the interactive format. We want to branch out and see if we can do more hands on workshops for costuming, con-running, fitness, writing, etc. 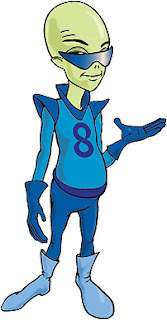 For further down the road, we’d also like to see if we can arrange in bring in a Media Guest of Honor. Space and cash will be the ultimate factors whether that’s possible.